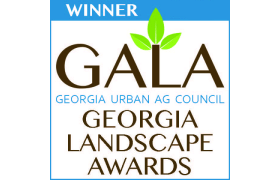 Anyone who visits North Georgia always has at least one waterfall on their list of things to see. We have several tucked away in our beautiful mountains, some waterfalls are visible from the highway others are only accessible by long hikes. Each one inspires and delights tourists and locals alike. However for some, just visiting waterfalls isn’t enough. 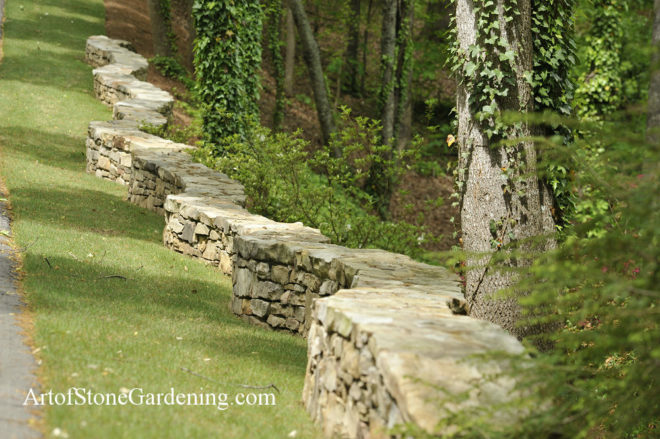 This family decided that their retaining wall would be the perfect place for their own personal waterfall. And, honestly, who can blame them? Especially with how beautiful it turned out. 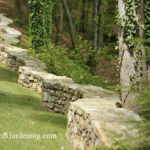 Water features can be incorporated into just about any landscape. 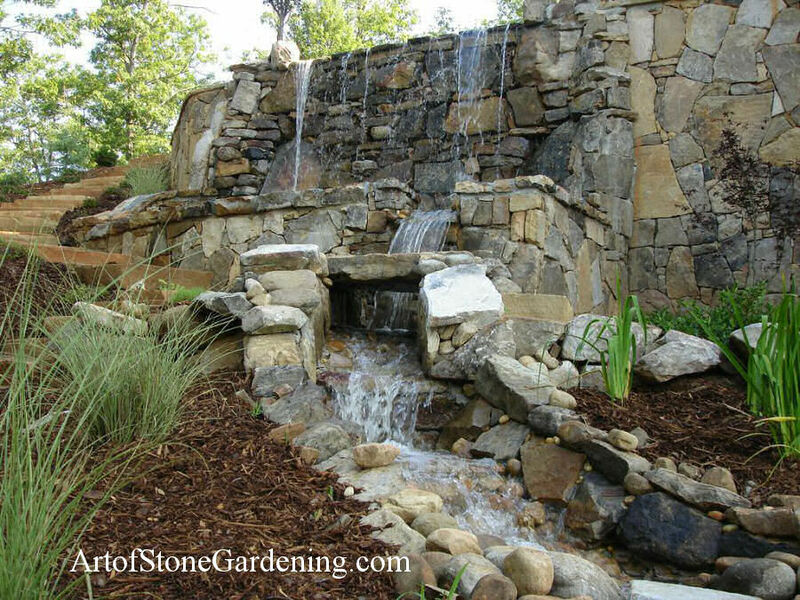 They can be as elaborate as this multilayered waterfall and creek or as simple as a koy pond. 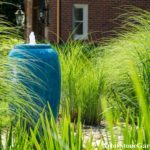 The key to a successful water feature, regardless of size, is proper prior planning. 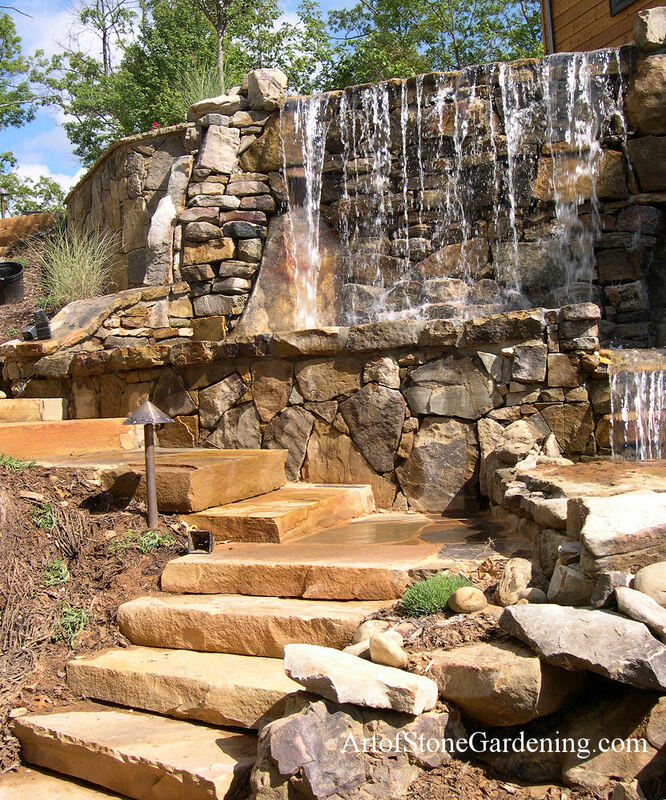 These home owners had very specific requests for their water feature. 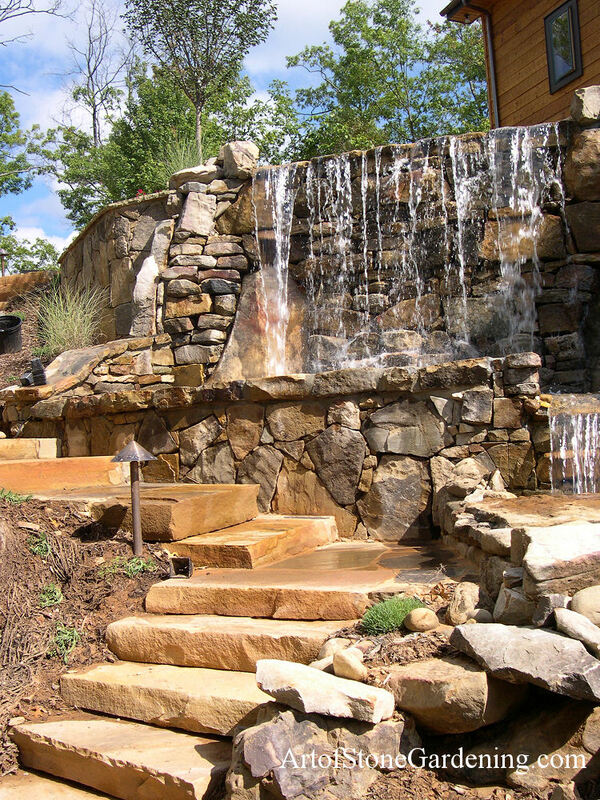 They wanted to be able to hear the waterfall all through out their house, to have a creek, and to have a garden designed around the finished product. So Jason the Mason faced a few serious challenges that required carefully laid plans. 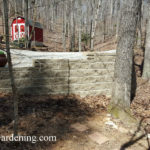 First, he had to plan the path of the water from the retaining wall to the end of the creek and then how it would be pumped back up to the top. Then he had to calculate how much water he needed to create the sound the home owners wanted and the size of the pump needed to handle that volume of water. The waterfall ended up being almost as wide as it was tall and a full sized pool pump was used to circulate the water. 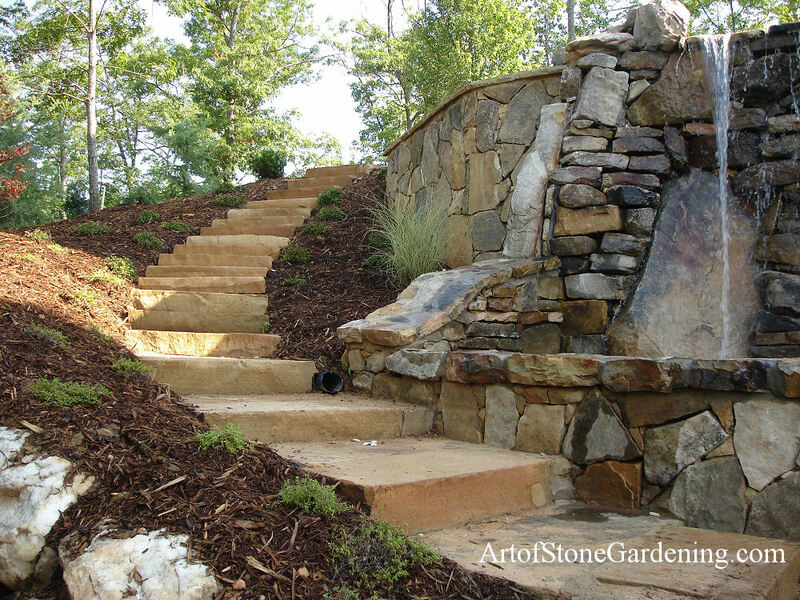 Rocks were chosen to complement the retaining wall for the waterfall, stairs, and creek bed while our stone masons began laying out the bones of the design. 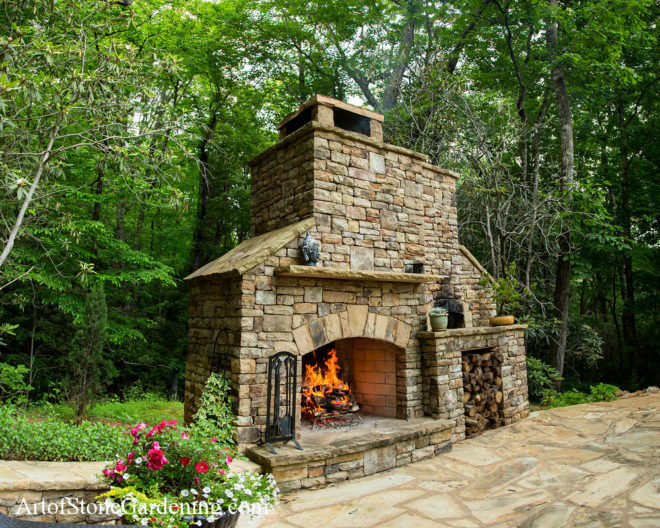 Natural verses manufactured stone is usually the first question on projects like this one. 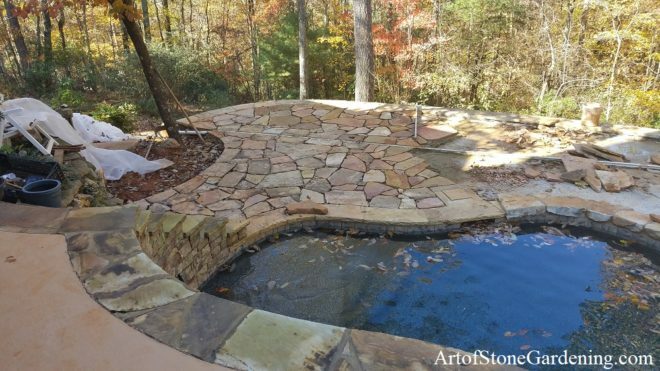 And though manufactured stone works just as well in many situations, this water feature was made with 100% natural stone. 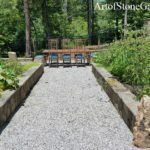 To keep maintenance simple, the homeowners decided to use chlorine to kill any algae that might try to grow in the creek and chlorine can discolor manufactured stone. 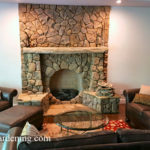 Plus, they were going with a more natural design and natural stone can’t be beat for varying colors and shapes. 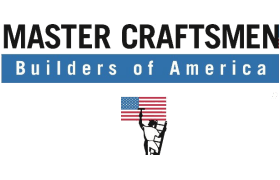 Once our masons lay the foundations, its time to begin adding stone. They begin at the bottom, and work their way up. They have to calculate how many steps are needed so that the top one is flush with the walkway above. For the walls of the waterfall, each rock is carefully chosen and puzzled together. 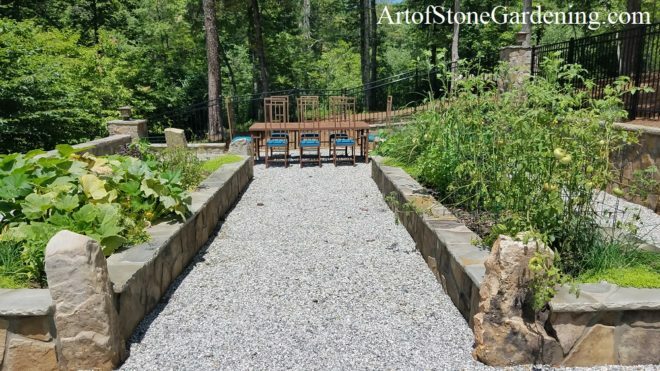 With Jason working on the stone, Suzanne began picking out plants with the home owners. 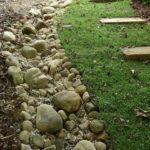 Algae is always a factor to consider when building any kind of water feature. While not necessarily harmful, algae can gunk up pumps and turn beautiful rocks black. 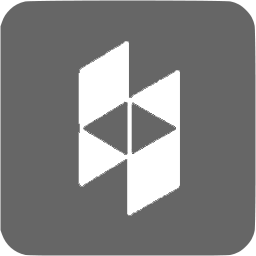 Chlorine is the most common solution and is used most notably in pools. However, many people like to have fish or grow other plants in, or around, their water features so chlorine isn’t an option. Pets and wildlife can also be hurt by chlorinated water. But, without pets or fish, these home owners decided to go ahead and avoid algae all together and use chlorine. 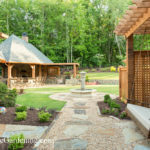 Suzanne had to take the chlorinated water into account when designing this landscape. She chose grasses who could be planted further away from the water and still fill the space and hardy irises to add color. More delicate plants, such as the Japanese Maple or the rose bushes, are planted far away from the spray of the waterfall. 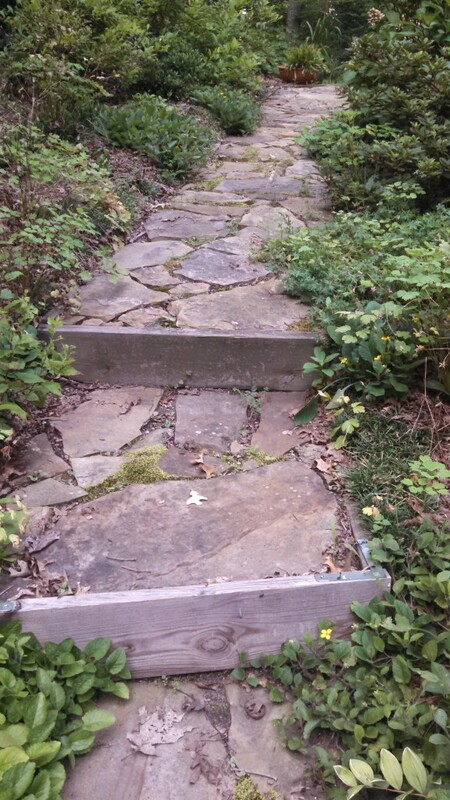 Several ground covers are chosen to line the sides of the stairs. Not only will they add color, but also keep the mulch from washing away. 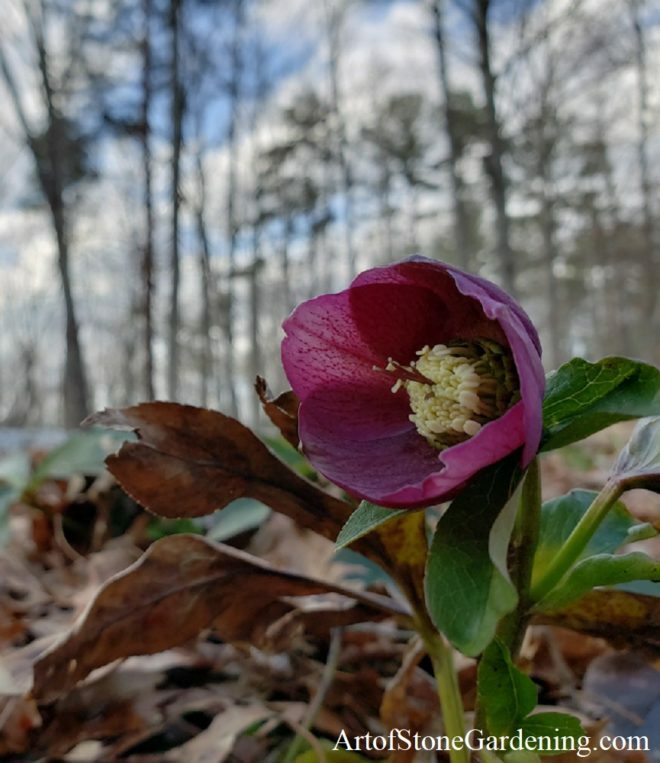 All of the plants Suzanne chose have one thing in common; they are low maintenance. 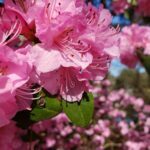 Once established, all of these plants require little, to no extra care. The home owners wanted a garden that they could just enjoy, with out having to do too much maintenance. Between the chlorine and the hardy plants, Suzanne and Jason made it so. 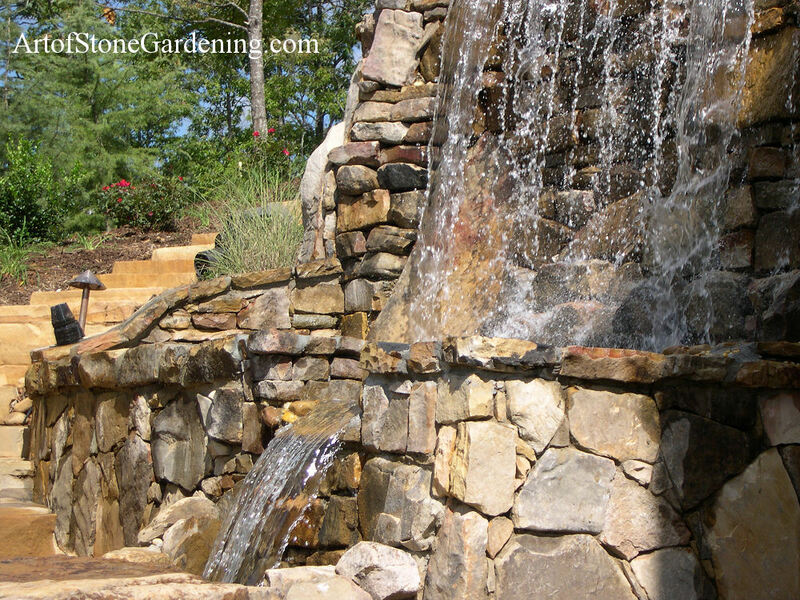 Water features, specifically waterfalls, are the most eye catching part of any garden. This waterfall in particular is a work of art, every detail planned and perfected. 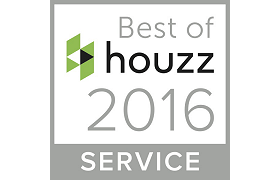 The sound of the water hitting the stone basin reverberates through out the house and the homeowners couldn’t be happier. In conclusion waterfalls are super cool.